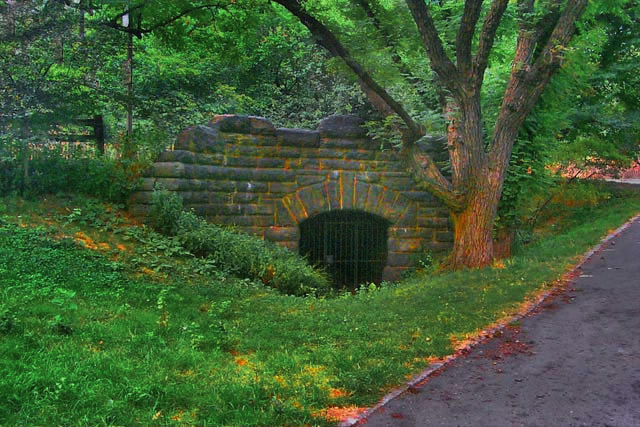 Miami In Focus Photo Gallery of the 90th Street Rustic Stone Arch W90 in Central Park. Height - 8 feet: Width - 9 feet 4 inches. Parapet walls: Length - 40 feet. path leading up to the sealed archway just beyond. 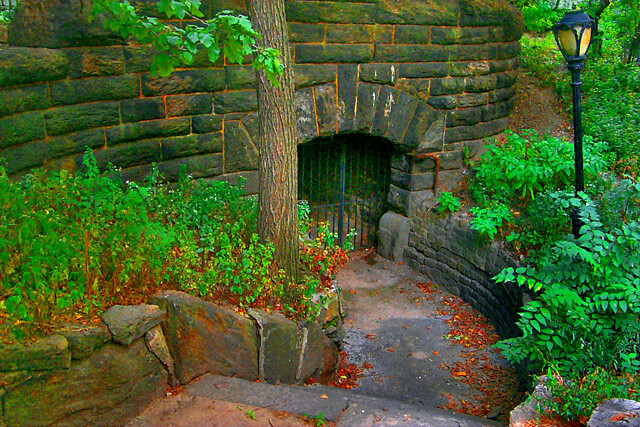 Along the path leading to the West Drive in Central Park nestled among the declining landscape is the 90th Street Rustic Stone Arch. This arch’s long passageway provided an invitation to crime and recalcitrance is currently locked up and no longer in use. 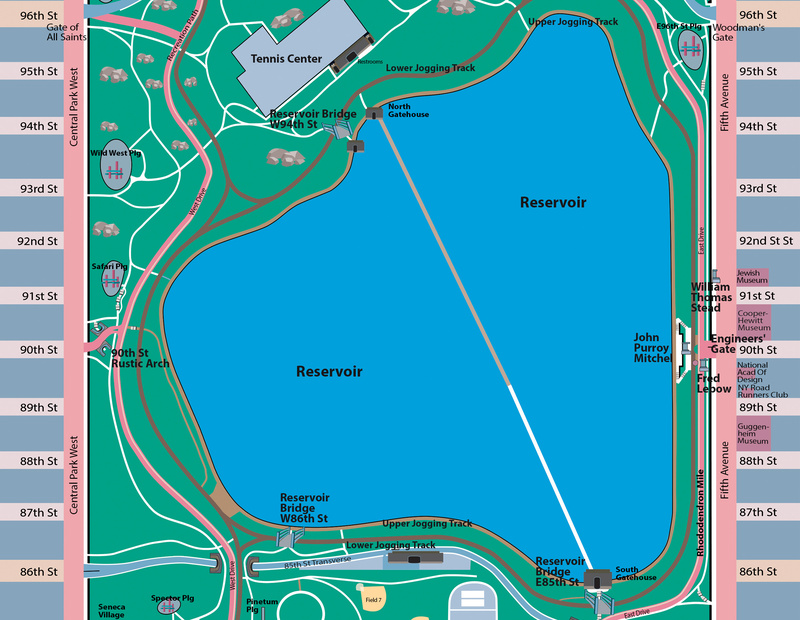 Since the access road curves to the Drive, the underpass is shaped like an elongated S.
Located very close to the 90th Street entrance and only a short distance from the Reservoir this curious unobtrusive arch rarely gets any recognition. Created in the tradition of Vaux’s earlier designs, this arch is constructed out of stone.